Logan Morris is a dedicated IB student, IBHS Vice President, Senior Class Treasurer as well as a member of the shape club, NHS and various other school clubs. 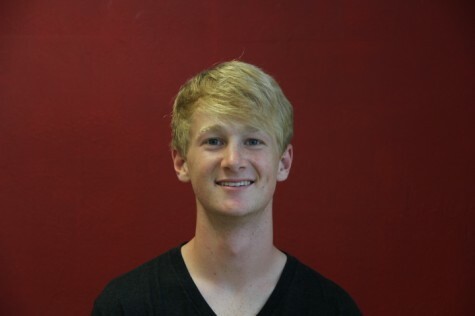 He enjoys working at student events, planning the various field trips, and volunteering to help his community. He feels that he has learned the essentials necessary to serve as class secretary and hopes to hold the same position senior year. He also wants to increase school spirit and student involvement in extracurricular activities because he believes that these events are what help students make friends and have the most positive high school experience possible. Logan excels in academics and is happy to help other students in several academic areas by tutoring them through the IBHS Mentoring Minds program. Not only does he value academics but he also enjoys participating in extracurricular events such as football games, pep rallies, and a variety of clubs. Logan participates in the Shape Club, the National Honors Society, and CavsConnect. Logan has played for the Coral Gables Varsity Boys Volleyball team for three years and hopes to make the team again this year. He was interested in photography ever since he was a little kid and he enjoys taking pictures on his free time so it was the perfect opportunity further his experience in photography by joining CavsConnect as a photographer. He captures a picture everyday and posts it on CavsConnect as the photo of the day. He is excited to capture his photos of his fellow Cavs while they're at school, sporting events, field trips and other school related events. He thinks that it is a fun yet rewarding position that allows him to contribute to his school by capturing the memorable moments at Coral Gables Senior High.